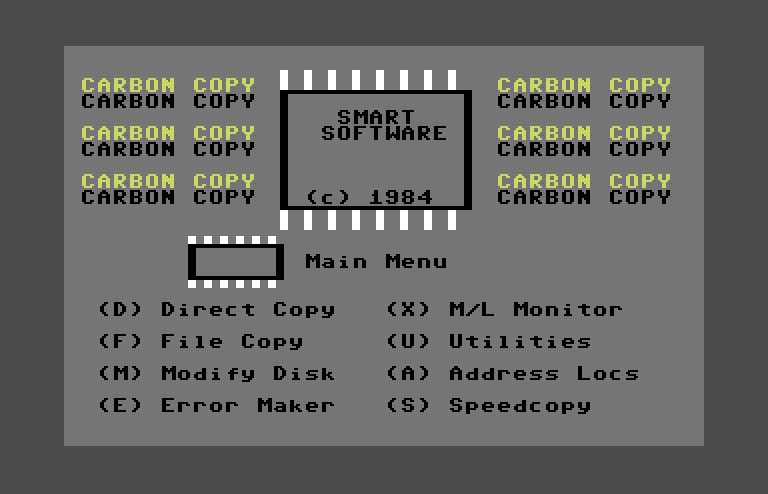 Carbon Copy II was released by Smart Software in 1984. This copy program has many extra features including file copying and error creation. This was one of the early copiers able to handle copy protection at the time.